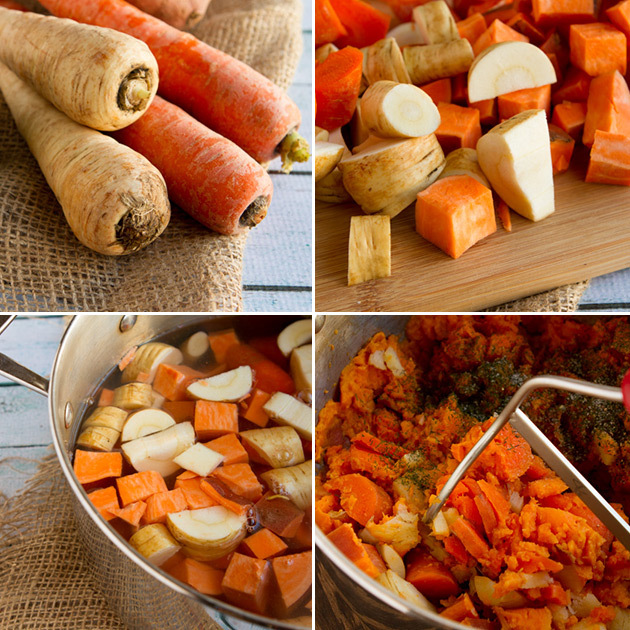 Mashed root vegetables seasoned with a touch of dill, pepper and salt. Simple, delicious and hearty. You need to have this dish on your Thanksgiving table this year. 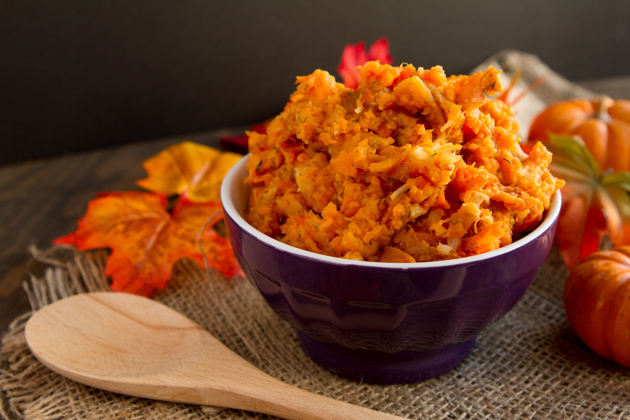 Since I’m Canadian and couldn’t use Thanksgiving as an excuse to make this veggie mash, Kevin and I planned a get together with our friends last weekend where I served up this mash, along with a big sirloin beef roast. It was epic! 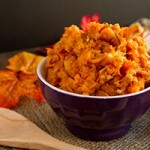 This recipe is from the Seasonal Comfort Food Cookbook – my new favorite cookbook! It’s written by my friend, Sonnet, from In Sonnet’s Kitchen. All recipes in the book are 100% free of grains, gluten, dairy, soy, and sugar. Each recipe contains a full-color photo and dietary symbols to help you identify the foods that work best for your body, whether you follow the paleo eating style, are vegetarian, plant-based diet, or have food allergies. There’s even an entire section dedicated to cauliflower rice! Mash vegetables adding a splash of water as needed. I used about ¼ cup of the reserved cooking liquid. Add dill, salt and pepper, to taste. At first I thought that maybe the mash would need oil (I’ve never made mashed potatoes without oil), but the combination of starchy veggies and dill, make this mash light and refreshing with just the perfect balance of comfort. The recipe is perfect, just as it is. 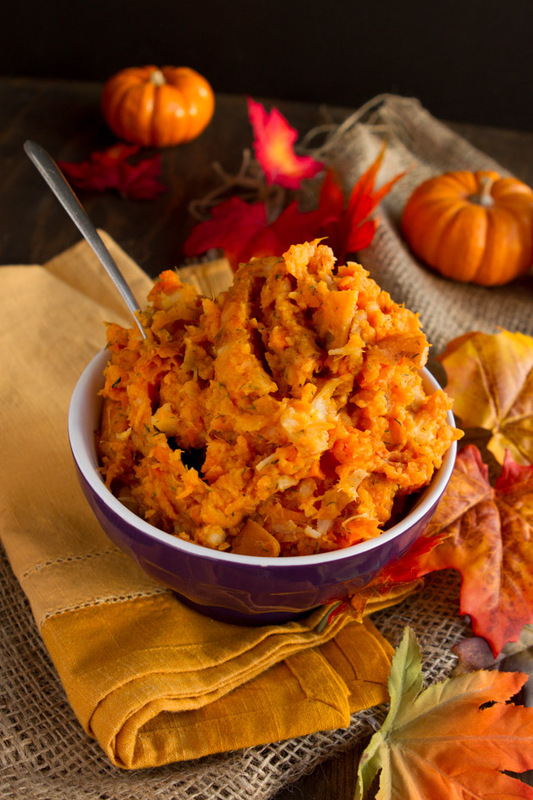 What recipes are you planning to share with your family this Thanksgiving? Share and link in the comments!